Pokemon figure Tomy Monster Collection series Espeon エーフィ. 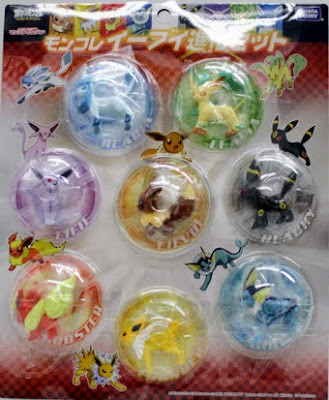 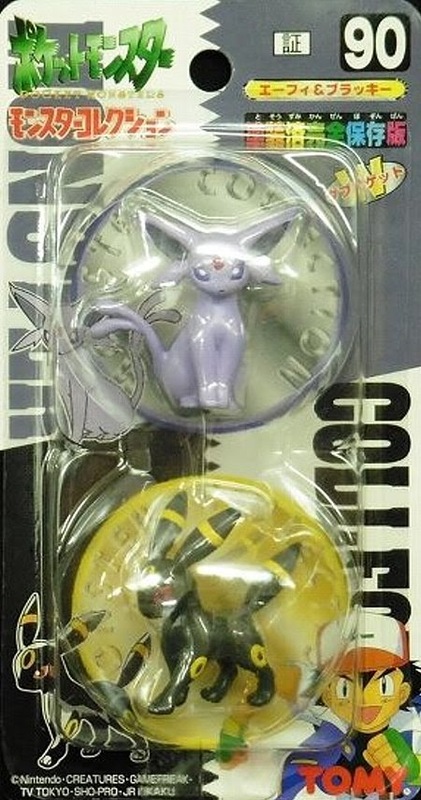 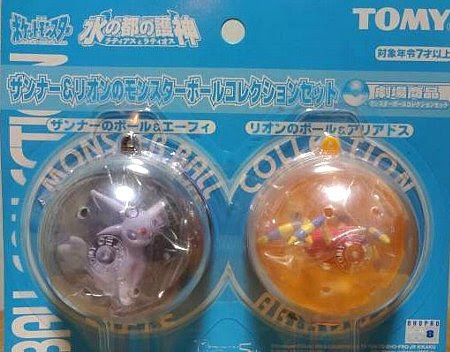 Same pose in Annie & Oaklay's PokeBall Collection set (2002 movie promotion). 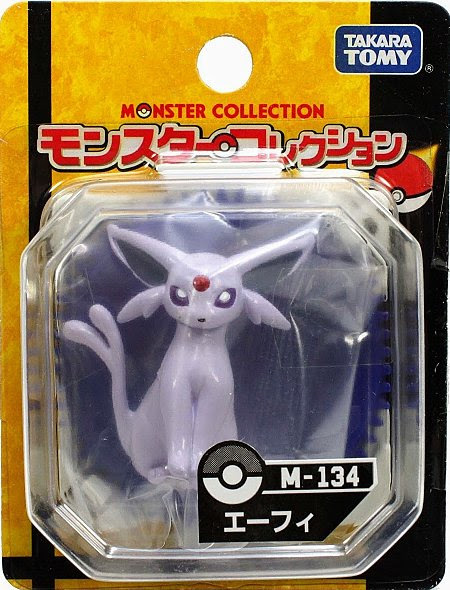 Same pose other color tone in MC series. 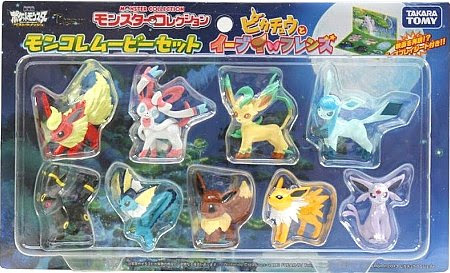 Same pose in Eevee evolution 8pcs set. 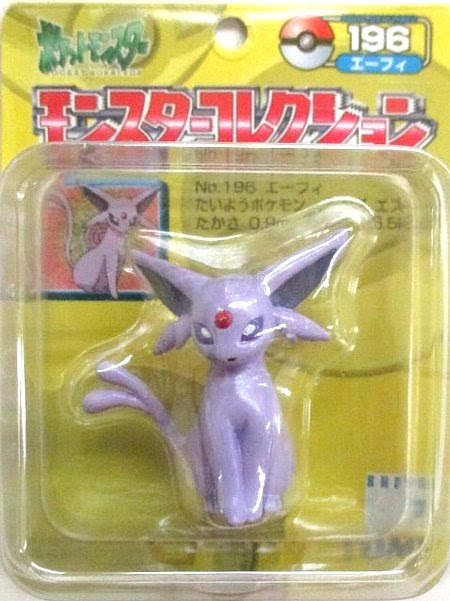 Espeon in YJ Auction ?